The mission of the Cleburne Chamber of Commerce is 'to promote business and the community'. Customers - Our members are our customers. We value working collaboratively with our members. Credibility - We value our expertise as a Chamber, with a strong and dependable history. Commitment - We value our members, employees, and civic partners, and strive for excellence. Promote events to bring businesses together. Foster business growth and development. Be open and public to the members. Exercise fairness in consideration of all issues - we listen to all sides, respect every opinion, and treat all individuals with dignity. We will strive to build a strong business community through communication. We will be dedicated to our members and business partners. To develop new business contacts and relationships daily. To work alongside our local government to attract new businesses and grow existing ones. “The Weekly Scoop”, the chamber newsletter, will be emailed every week. Use the Chamber logo on your business cards, website, etc. 10. You get a sales representative for less than 55 cents a day. It's true. We get many requests for goods and services each month and we refer these to our members. 9. Resources and assistance. We maintain a data base with statistics and information of all types. When a member needs help, we try to do our part. 8. Representation. The Chamber is the voice of the business community to local government, and on the state and national level. It is constantly working to develop a better climate for doing business. 7. New customers. Our tourism and events promotions brings people to our community each year, people that you can work to convert to be one of your customers. 6. Local buying keeps jobs. 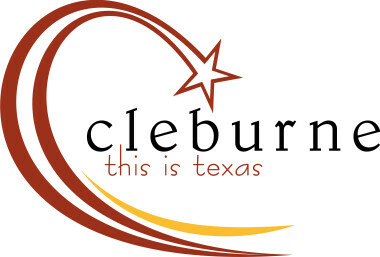 The Cleburne Chamber of Commerce promotes and works to keep money circulating at home, turning over within our community. 5. New business contacts. A major reason that many people get active with the Chamber is because they get to meet and network with other business people. 4. Publicity and exposure. Those who play an active role with the Chamber get wonderful exposure for themselves and for their business. 3. WE KEEP OUR MEMBERS INFORMED. Through news releases, meetings, business-after-hours-mixers, events, and special mailings. 2. We offer a chance to MAKE A DIFFERENCE. By joining with other members to work together to improve the quality of life and the economic climate of the community. 1. And the number one reason is: IF WE DON'T, WHO WILL? We don't buy glasses, We buy better vision. We don't buy a newspaper, We buy news and information. We don't buy a house, We buy shelter and comfort. We don't buy insurance. We buy security and protection.